Welcome to Maris Home Improvements, a local, family-owned exterior remodeling company based in Chesterfield, MO. Our team has over 100 years of combined industry experience and each of our contractors are highly trained in their specialized area of expertise. We’re recognized for our outstanding business practices as a HomeAdvisor Top-Rated Elite Professional and a Better Business Bureau A+-rated company. We are committed to giving our customers the best quality in service and value. We look forward to working with you on your next project! Superior Products – High-quality products make all the difference to a successful project. We represent dozens of respected manufacturers in the industry that offer superior products for your exterior renovation project. From energy-efficient windows to maintenance-free vinyl siding, we offer a wide selection to meet the needs of each homeowner. Quality & Value – Quality products and services don’t have to mean a high price tag. At Maris Home Improvements, we prioritize value and ensuring our customers receive the highest professional quality at affordable prices. Exceptional Customer Service – Customer satisfaction is always our #1 priority. We are a client-centered company focused on your happiness with our workmanship and construction process, from start to finish. Get Started on Your Exterior Renovation Project! Ready to get started on your next home exterior project? Turn to the professionals at Maris Home Improvements. Our decades of experience and high customer satisfaction ratings are part of what makes us a top-rated home improvement company. To schedule your no-obligation consultation or to learn more about our exterior renovation services, call (636) 778-4343 or submit our online form. We’re happy to answer any questions you may have! In need of a new deck? 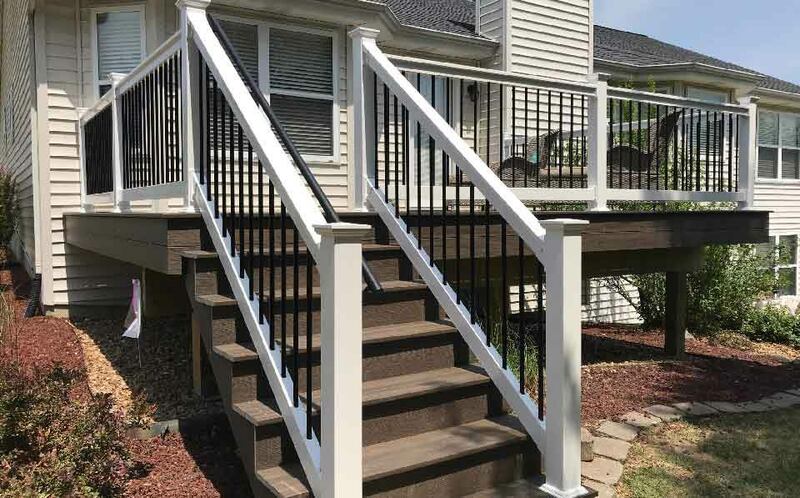 Maris Home Improvements is a trusted deck contractor that delivers quality workmanship, innovative designs and functional layouts to enhance your outdoor experience. Bolster the protection and privacy of your home with a new fence installed by the professionals at Maris Home Improvements. 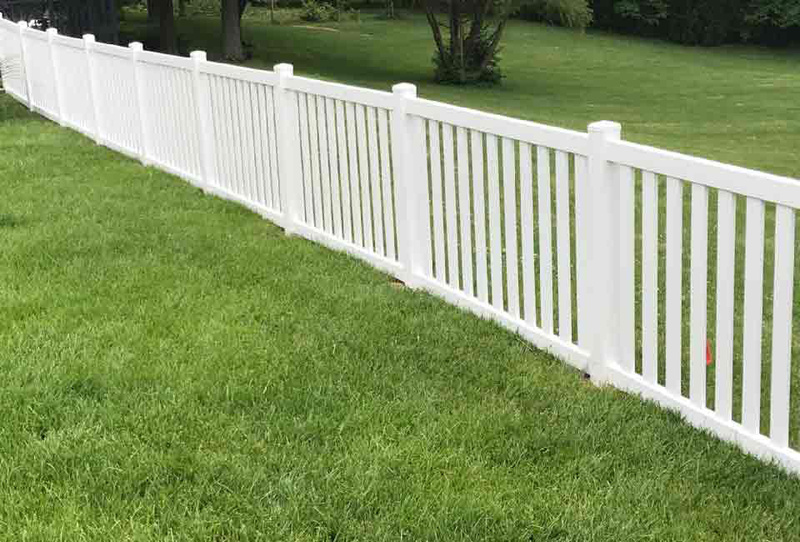 We offer maintenance-free vinyl fencing, beautiful wrought iron and more! Maris Home Improvements is your local siding replacement specialist. We offer siding replacement services and beautiful siding products to enhance the curb appeal of your home. Are You Ready for a New Deck? Ken Maris wanted to start a company that wasn’t solely focused on money, but one that focused on the customers. At Maris Home Improvements, our team has over 100 years of combined experience to better serve our clients. Here’s more about what sets our company apart. We have product-specific crews that receive continuous training and work in their field of expertise. Our team treats every customer with respect and kindness. We prioritize customer satisfaction with every project we take on. Our fence looks great. We could not be more happy with the entire project. Recently bought new window replacements. Could not be happier. Salesman answered all my questions. Installers came out and were fast, precise, and professional. Love my new windows. Would recommend. We were very happy with the entire process. The Maris team was professional and helpful. The salesman listened to what we wanted not what he wanted to sell as other companies did. The support team at the office went out of their way to help with our HOA dropping off samples on their lunch. And the crew did a fantastic job!!! On our final inspection from the city the inspector told us that he had inspected several of their projects and the work was always outstanding!! Thanks to the entire Maris team for doing such a wonderful job!!! Highly recommend that you use them for your project. I've had my deck for almost month now and honestly, my deck experience was awesome. While I had the challenge of a HOA, I was able to get the deck I wanted and it...looks....beautiful! I went from a 6' x 8' deck to an 8' x 16' and my neighbors now have deck envy. Next improvement, a new kitchen window! New siding is a great addition to any home as unlike exterior wall paint, it’s more permanent and doubles as an extra weather barrier and insulating component for your home. With so many options on the market, choosing the right siding color can be overwhelming. A well-constructed deck can last for decades, but that doesn’t mean you have to disregard it. Like the other important components of your home, cleaning and maintaining it is imperative. Doing these things prevents it from incurring serious problems that could put you and others in danger.